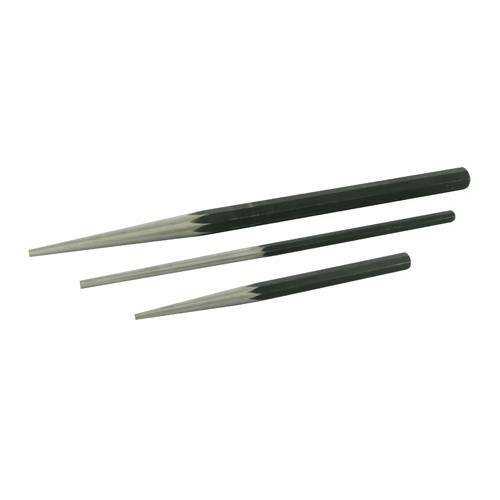 Excellent quality 3pc long taper punch set from Silverline Tools. 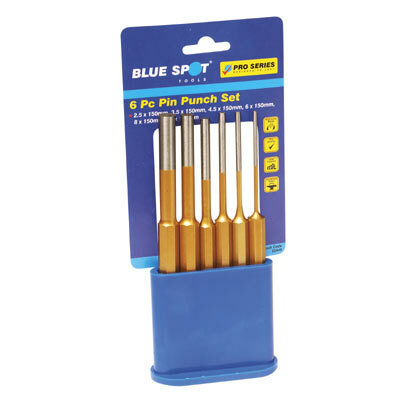 Punch sizes: 4.8 x 200mm, 6.3 x 300mm and 6.3 x 375mm. Drop forged and heat treated for extra strength. Carbon steel. Tapered tips concentrate driving force. Black oxide finish for durability. Precision-machined and polished tapered heads.